Raveena Tandon has been a consistent infatuation for most guys born in the 90s and who can blame them? I too am one of those. Why? I don’t need to tell you why. Just check out Raveena Tandon’s Instagram. Not only is she super talented on the silver screen which bagged her a National Award, she is also crazy beautiful! She may not appear in movies as much as we would like her to, but Raveena Tandon’s Instagram is proof of what we are missing out. Did you have a crush on Raveena Tandon back in the day? Well say no more! 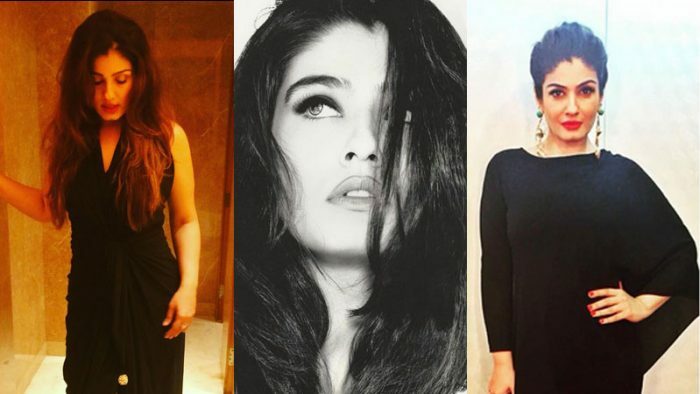 Here’s 10 Instagram posts from Raveena Tandon’s Instagram that will answer your question about why we all had a crush on her! At magna publishing house for the unveiling of health and nutrition! 4. 25 years in Bollywood and she still looks exactly like she did! 6. Just going to leave this out here..
9. Gotta love throwbacks am I right? Well, Raveena, we hope you’re back on the big screen too.